Today’s Crazy For Love story comes to us from the East Coast, and really, it started all the way across the ocean, in Madrid, Spain, just a few years ago. It’s a love story from my friend, “Ica”, also known and Jessica and the love of her life, Ryan. I remember when Ica was just getting to know Ryan, just letting herself fall in love, scary as it was. And we gushed across the miles, hoping the feeling was mutual. It was a great day when they finally shared their “I like you too” feelings, and then the whole thing took off. These two are a pair I don’t get to see often, but I thoroughly love it when I do. Their love for each other and for life is contagious. They know how to enjoy extravagance and simplicity, and how to make any old day fun and adventurous. So let me introduce to you: Ryan + Jessica. Oh my gosh, these two. They are such a crack up. I like them a lot. It was the first time we walked together in the city where we eventually fell in love. He looked slightly amused and confused and didn’t stifle the laugh as he replied “Hmmm, I don’t know how to respond to that, why do you ask? I didn’t answer, I need not have asked in the first place. He was whimsical, I knew it. And this meant that he possessed one of the most important qualities I was looking for in a soul mate. Life became a little more intriguing. So we spent many days together that hot, dry August in Madrid. We wandered about the deserted city- long meandering walks where we spoke of life, music, people and nonsense. 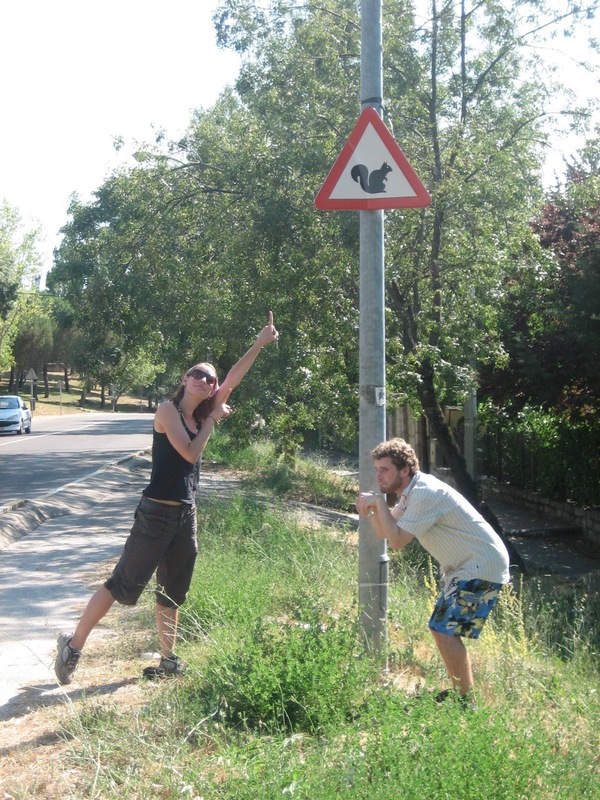 We ate red velvet cake with summer berries and always kept our eyes peeled for the rarely seen Spanish squirrels. 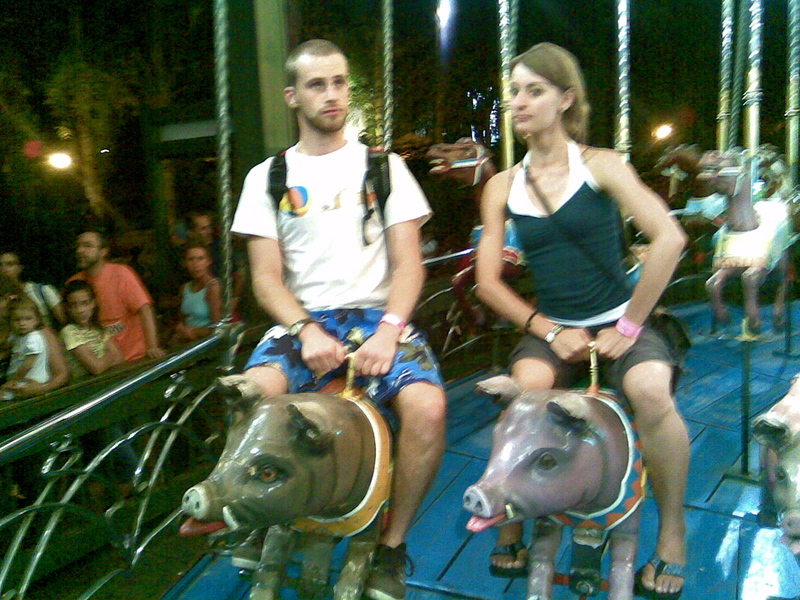 He rode the carousel with me and wholeheartedly agreed that we should ride the pigs instead of the horses, giving them names and voicing their animated pig conversations as we swirled around. I am introverted, oh so introverted…happy as a little clam to be alone, drinking in the world around me and smiling at its peculiarities. But, here was someone who noticed those same peculiarities and wanted to smile with me. What great fun it was! I had never felt so completely free to share the ridiculous part of myself. And, even more than that, to know that it is appreciated and loved. He is a writer, a musician- an artist. He knows how to feel the fullness of life’s seriousness and has a beautiful way of expressing that which is solemn or even dark. This is one of the things I deeply admire about him. But…what do I love about him? I love that he is whimsical. Do tell. Could two people be more whimsical than this. Happy Love Week, Month and Life to you both! And to all of us. Jessica, thank you for reminding us that playfulness, fun and friendship are what make relationships last.